Dental implant technology allows patients to embrace beautiful new smiles that can last as long as a lifetime. Dental implant technology has revolutionized restorative dentistry. The versatility of dental implants is unparalleled and can be used to restore smiles with many different needs. Dental implants can be used to replace single missing teeth, or help secure bridges and dentures. Dental implants are safe, effective and the results last longer than any other restorative dental procedure. And, restoration looks and feels as comfortable as your healthy natural teeth. Dr. Naik will have you smiling in no time! 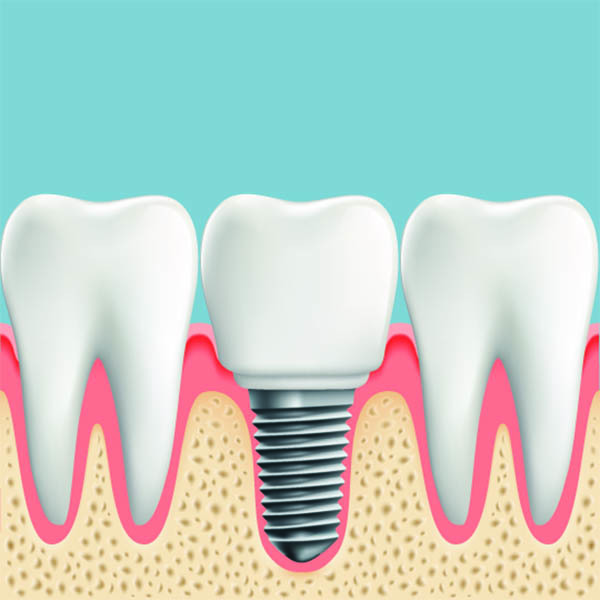 A dental implant is a small titanium piece of hardware that resembles a screw. The implant hardware is surgically placed into the jawbone. The purpose of dental implants is to replace the tooth root of a missing tooth or teeth. The implant provides a strong and natural feeling foundation for prosthetic teeth or other dental work. With dental implants, replacement teeth feel as comfortable and act as functionally well as your natural teeth. Let’s restore your smile and restore your confidence with dental implants. The implant surgery procedure itself can be done in one visit and more than one dental implant can be placed in one visit at our local Vienna office. After the area has been prepped and anesthesia has been delivered, a small incision will be made in the gum and the implant will be screwed into the jawbone. Then the gum will be stitched closed. After the initial implant surgery, the area will need time to heal. During these few healing months, the implant will naturally fuse with the jawbone, creating a strong bond. At the end of the healing process an abutment will be placed on the implant, serving as a base for the new tooth or other restorative dental structure. Dr. Naik believes everyone should feel proud to show off their pearly whites! If you are missing teeth, dental implant surgery may be the solution you’ve been looking for. Dr. Naik partners with a highly qualified dental implant surgeon who will place the implant hardware. Afterward, Dr. Naik will restore your teeth with custom crowns, transforming your smile– all in one office. 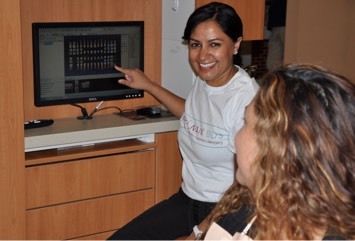 A comprehensive evaluation by Dr. Priti Naik and her knowledgeable staff will determine your eligibility for dental implants. Feel free to contact the office with any questions and set up an appointment at (703) 288-1800. The team serves multiple areas including Vienna, Tysons Corner, Falls Church, we’ll have you smiling in no time!